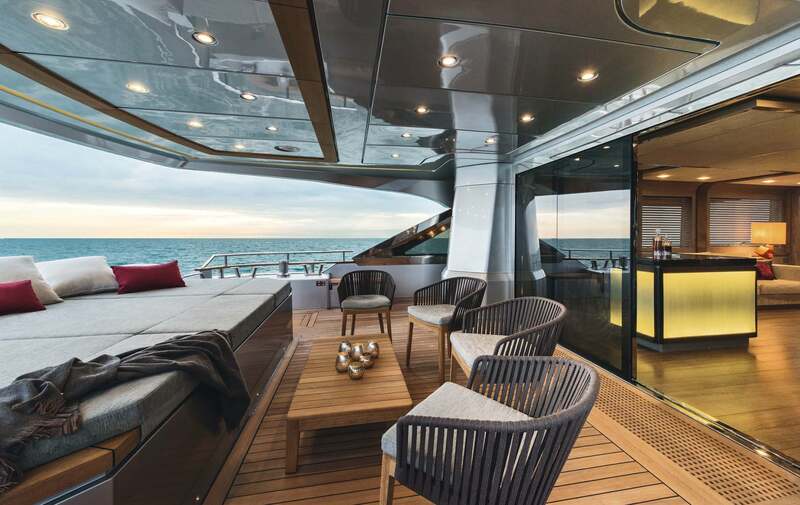 It has taken a mere ﬁve years for Monte Carlo Yachts take its rightful place amid the megayacht greats. 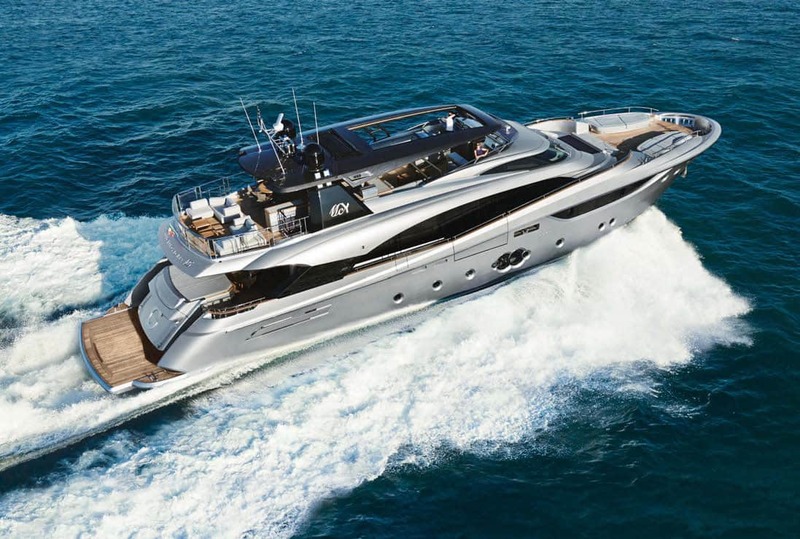 In July 2010, the yard premiered its ﬁrst yacht, the MCY 76, in Venice, a model that opened the doors to international success. 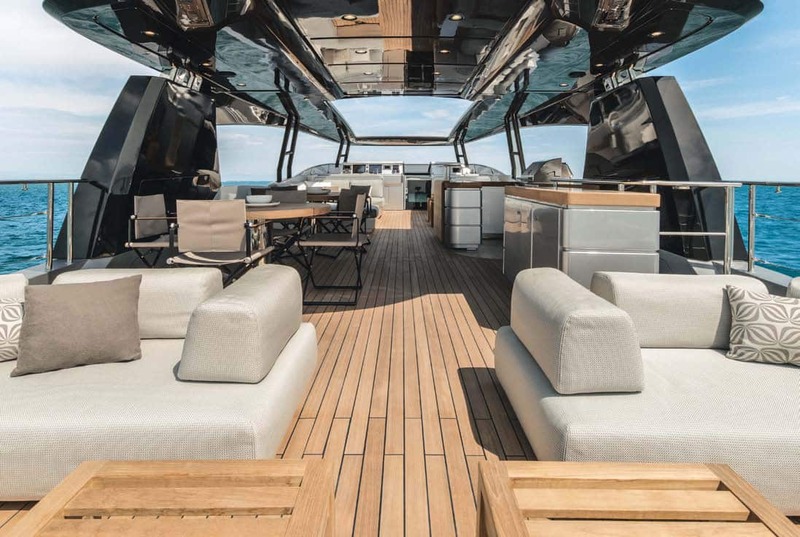 Five years later, Monte Carlo Yachts again chose Venice to unveil its new MCY 105 ﬂagship at a spectacular evening event in the Arsenale. 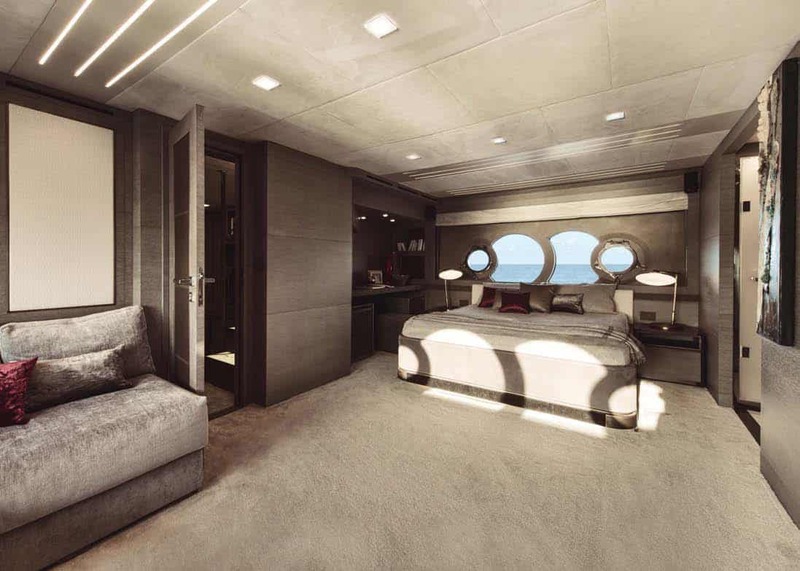 The work of Dan Lenard and Carlo Nuvolari who have been the design brains behind the Monte Carlo Yachts range since the outset, the new 105 has many of the MCY signatures: perfect balance between hull and superstructure, meticulously crafted proportions and intrinsically dynamic lines combined with bright interiors. 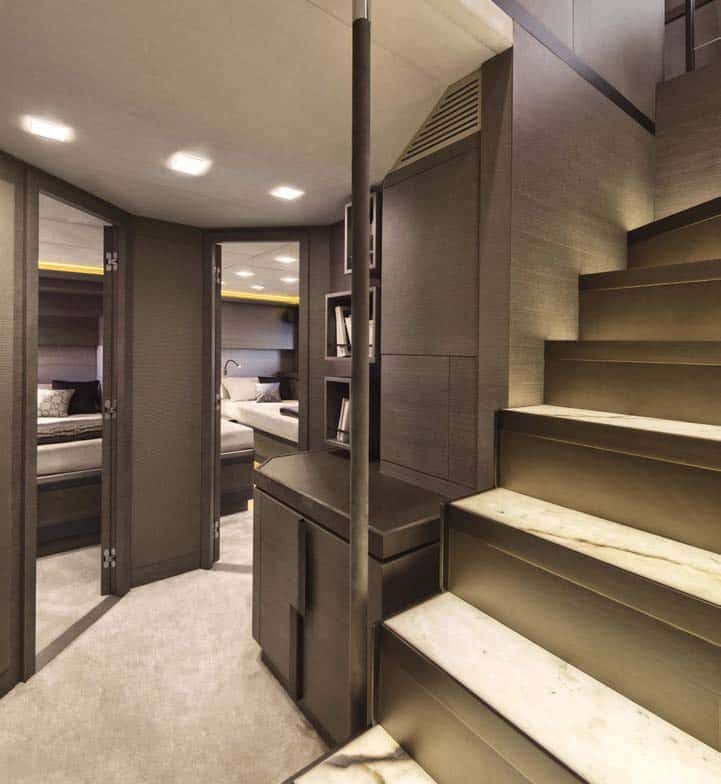 The interior layout sees the main deck devoted entirely to the owner and his guests with the master suite foremost and the rest of the deck taken up by the saloon. The galley is located on the lower deck nearby the crew quarters. Guest cabins account for the remainder of that level. Owners have a choice of either three or four with one or two VIPs or two twins. 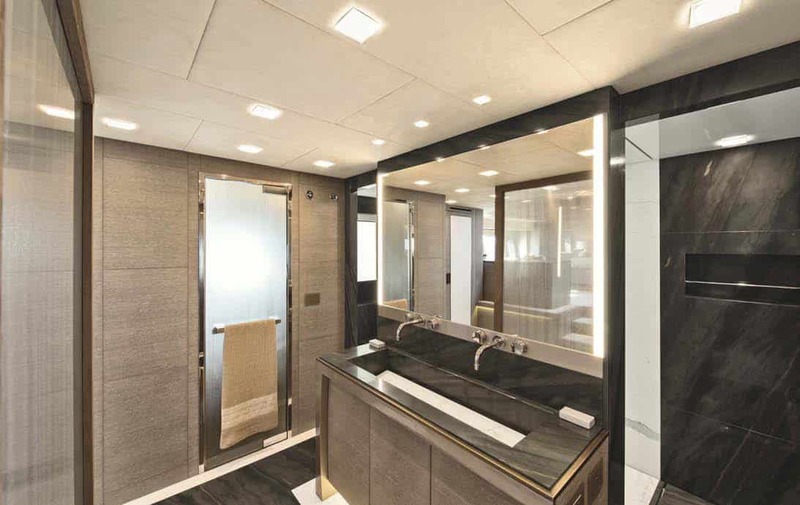 However, what really sets the décor of this yacht apart is the standard of its detailing. 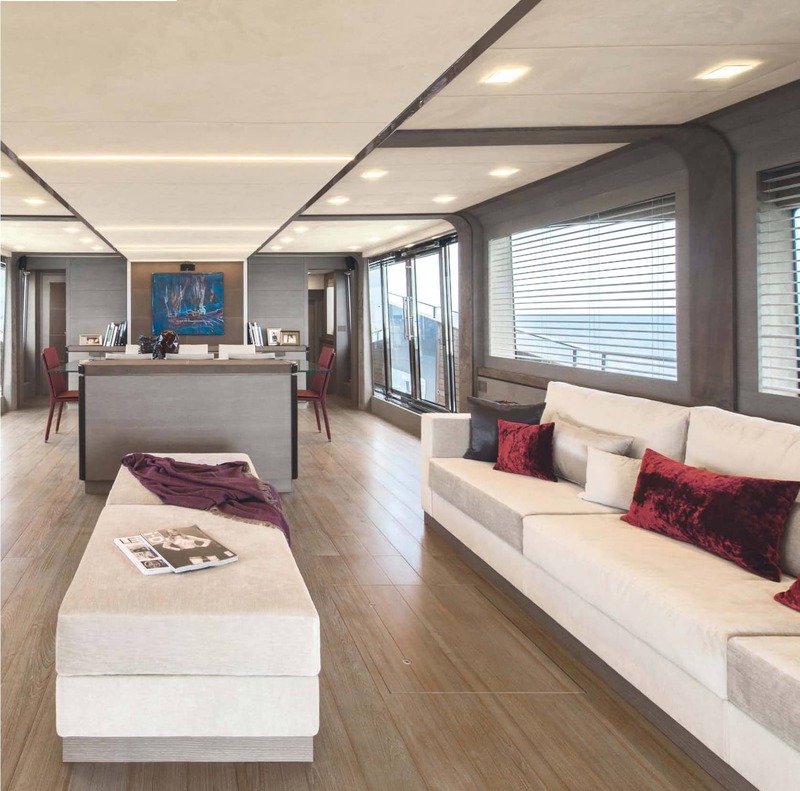 “In the Monte Carlo Yachts 105, the details are very much of the kind normally the reserve of larger craft,” explains Valentina Zannier of the Nuvolari-Lenard studio which designed the décor and ﬁt-out. 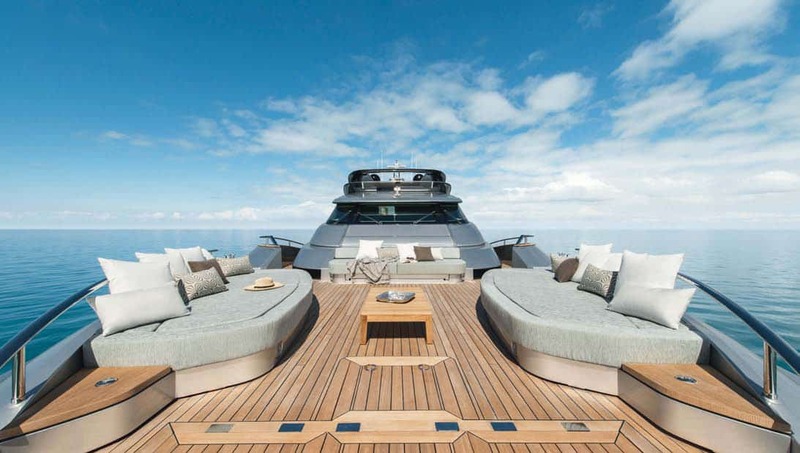 “Every single stick of furniture aboard this boat was individually designed. 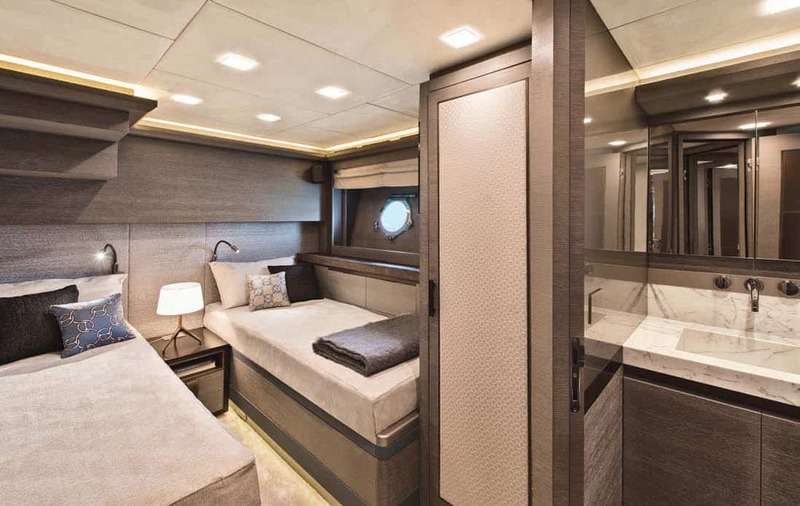 The style is contemporary but sophisticated.” Hardly surprising therefore that the textiles aboard are almost all by Hérmes and, unusually for a yacht, are matched with wallpaper featuring the same designs.